everytime i have been interviewed and hired i have always been honest about my knowledge. i like to keep an open mind about everything, i always say that in spite of my credentials i dont know it all, perhaps a couple of things more or just the same, i also make certain they do understand i have weak areas and not so favorite ones, i always ask about the settings of the facility/hospital or ASC as they all have their own ways of doing things. I had a terrible experience when i applied for a position a while back and without notice got tested on hospital coding. Prior to my interview i had called the person who set up the interview and asked if there was going to be any sort of testing to which she said no and when i was interviewing i made it clear my experience in the inpatient settings was very poor but open to learn it if needed. they still tested me and out of 14 questions I was only allowed to have one mistake. I answered my questions based on my ICD-9 book i failed, because i got 3 mistakes, i was devastated later on i found out there is a group of coders passing along the answers for the people they want to hire. to add even more I was not even allowed to discuss my mistakes. I dont have any desire of working for a company with such poor reputation. it is upsetting because a lot of us are very passionate about our jobs, whereas for some other ones it is just another job, or more money. SO - if pre-employment testing is to become the norm, why even pay ahead of time for the credentials / certifications and the CEU's? If you have to prove your knowledge ANYWAY, why pay to prove it ahead of time? Seems redundant. But maybe I'm not understanding this...??? Kevin, great post! While I might not like taking these coding tests, I do see the necessity sometimes. If you are given an employment test and disagree with an answer, do challenge it, in a professional manner. I was given a 10 question test from a prospective employer, for which I got 9 correct. That 10th one bugged me, especially when the manager stated everyone has gotten that wrong. I went home and looked up the code she stated was the correct answer. I then went back and looked it up again, via the index, and then the tabular section, just as I had at the test. I came to the same answer again. When I wrote my thank-you note for the interview, I laid out exactly how I came up with my answer. The manager called me the next day, admitted that someone else had created the exam for her, clarified she was not a coding expert, and hired me for my initiative in researching it. After all, why did I need to know that code and the correct answer, especially as it wasn't even related to the specialty of the practice. Take the initiative, if often pays off! I completely understand that testing for a job that you've already gotten the credentials for, through testing, seems redundant BUT I also completely understand why a company would do such. I've come across many coders, certified, that really have no idea what they are doing, whether it be from lack of a medical background or something else. If you are confident in your abilities, you should have no problem passing a pre-employment test. If you are told that your answer is incorrect but you're sure that your answer was right, I agree with Machelle completely, challenge it. Do your research and let the employer know why you feel your answer was the correct answer. I, primarily, code HCC/MRA so a lot of times I just think about it from that standard. Put yourself in the shoes of the employer. How would you like to hire someone only to find out after 6 months that they've been over coding or under coding, only to find out during validation? No bueno. The company that I work for now does a pre-employment test for that reason. In the past, the coders were instructed to send 10 coded encounters, for every doctor in their office, every week. Everything seemed fine. Come to find out during validation, the coders were sending the easiest encounters to code that they got, knowing that no mistakes would be found. Never knew there were mistakes untill it was too late. These are certified coders I'm talking about. It happens. Good luck finding work out there, to all of you. I hate to read all these posts about people having a tough time finding work. Just try networking and getting that foot in the door.... and DON'T GIVE UP! I want to clarify what my original statement. it more than the initials they earned. I as well can think of times that have made mistakes. No one is perfect. under my belt to move forward into subspecialty exams. Again, in which I passed. What I think is not correct, is that when I do get an offer for employment that it comes with a test. That I will have to do on my time and dime. Without a guarantee of being hired if I pass. Throw us some CEU's at least. I am not intimidated by being pre-tested. I just don't understand the concept. As I stated in my prior comments, why should I continue with my CEU's, with my certifications and memberships when I am going to have to be tested irrespective of my credentials? The bottom line is this, in no other field is there pre-employment testing. Instead of our credentials being belittled. What ever happend to the concept of training? Not to be disrespectful, but HCC coding is VERY difficult. It does take a lot of time to get use to and understand abstraction, mapping and taking out the rules of everyday coding. I have been doing it for two seasons and the rules change so much. There should be a credential for this!!!!! I have three binders just to refer back to. Let me add to this, that when employers construct these exams, they should categorize scoring. The test can then be used to assess potential employee weakenesses and strengths. This construction also assists the employer in developing the employee. Quite frankly, any test that doesn't have sub-sections would be questionable in usefulness. 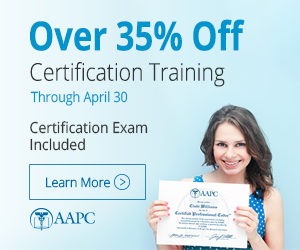 What's helpful is that AAPC has entered the field and can provide a more sound authority source for assessments. I'd rather take an Academy-sanctioned assessment than one with more nebulous origins. Again, Kevin. I agree with your points. Pre-employment coding testing for CPCs-Is it really to asses your coding knowledge!